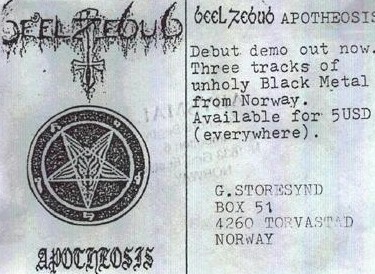 Norways Black Metal band Beelzebub debuted with the demo 'Apotheosis' in 1992. Members were Armageddor - Vocals, Guitar, Bass, Frode Glesnes - Guitar, Bass, Gerhard Storesund - Drums. Released one demo.